Then entry level BlackBerry Curve 9360 from RIM that is powered by OS 7 is now available for purchase on O2 UK and can be had for free with a monthly plan of £21.50 per month. In addition to featuring OS 7, which is the newest version of the BlackBerry operating system that is also found on other devices, the Curve 9360 packs a 2.44-inch display and is powered by an 800MHz processor and 512MB of RAM. On the back of the smartphone is a 5 megapixel camera with an LED flash. Although there is no touchscreen on this device, which is the case with some of the other new BlackBerry handsets, there is still an optical trackpad to make navigating the device easier. 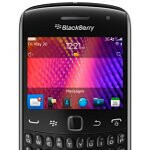 The BlackBerry Curve 9360 is available right now for the price of free with a monthly plan of £21.50. You can also pick one up for use on a pay as you go plan for £249.99 that requires a £15 top up.